"The great struggle between paganism and Christianity in the time of Emperor Constantine the Great (306-337) is reflected in the difference between Roman Greeks (meaning Pagans) and Roman Christians. All Pagan Romans were defending their aristocratic ancient Hellenic identity and traditions which was being torn apart by the aristocratic identity of the cure of glorification which was open to all Romans, both gentis and non-gentis, and to all non-Romans." "Biblical Faith is one's cooperation/operation with the Holy Spirit who initiates the cure of the sickness of possessive love caused by the short-circuit in the heart and transforms it into love which does not seek its own. This cure is consummated in glorification (theosis) and constitutes the heart of the Orthodox Catholic Church which replaced paganism as the core of the Hellenic Civilization of the Roman Empire." "We are obliged to have a clear picture of the context within which the Church and the State viewed the contribution of the glorified to the cure of the sickness of religion which warps the human personality by means of its search for happiness both in this life and after the death of the body. It is within this context that the Roman Empire legally incorporated the Orthodox Church into its administrative structure. Neither the State nor the Church saw the mission of the Church as the simple forgiveness of sins of the faithful for their entrance into heaven in the next life. This would be equivalent to a doctor's forgiveness of his patients for being sick for their cure in the next life. Both the Church and the State knew well that the forgiveness of sins was only the beginning of the cure of the happiness seeking sickness of humanity. This cure begins by the purification of the heart, it arrives at the restoration of the heart to its natural state of illumination and the whole person begins to be perfected beyond one's natural capacities by the glorification of body and soul by God's uncreated glory (shekina). The result of this cure and perfection was not only the proper preparation for life after the death of one's body, but also the transformation of society here and now from a collection of selfish and self-centered individuals to a society of persons with selfless love 'which does not seek its own.'" This organic relationship of Church and State in the Roman Empire created an environment of philanthropy that included both spiritual and physical healing, in imitation of Christ and the Apostles who did not seek their own, but showed selflessness in their love for humanity. Since the Church is a spiritual hospital, and Christianity spread throughout the Roman Empire, it also acquired similar traits for physical ailmants through its vast resources to build entire institutions dedicated to both spiritual (monastery/parish) and physical (hospital) healing. 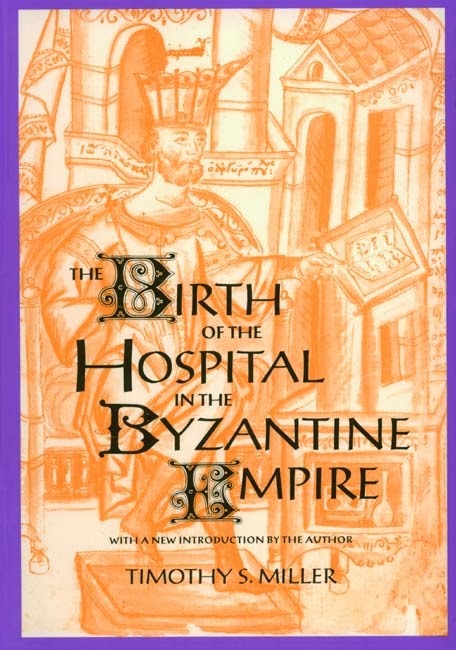 In this highly recommended book titled The Birth of the Hospital in the Byzantine Empire published by Johns Hopkins University and written by Timothy S. Miller, this medical historian argues that the sophisticated medical facilities of the Roman Byzantine Empire are the true ancestors of modern hospitals and our philanthropic systems. This is further elaborated upon in his book The Orphans of Byzantium: Child Welfare in the Christian Empire. Christianity always played a key role in the building and maintaining of Hospitals, as it did with most other areas of the Roman Empire. Many Hospitals were built and maintained by Bishops in their respective prefectures, among the first being St. Basil the Great. Hospitals were often, but not always, built near or around churches and great importance was laid on the idea of healing through salvation. When medicine failed, doctors would always ask their patients to pray. After the Iconoclastic problems had been resolved, and even before, this usually involved relics and icons of saints such as Saints Cosmas and Damien the Unmercenaries, who were killed by Diocletian in 303, and were the patron saints of medicine and doctors. Christianity also played a key role in propagating the idea of charity - medicine was made accessible to all in the christianized Roman Empire, for both rich and poor. 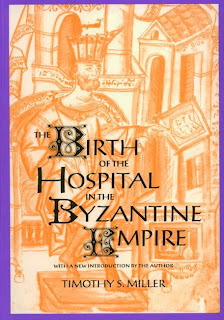 This idea, combined with the vast resources Roman (Byzantine) physicians had at their disposal, was ONE OF THE FIRST TIMES IN HISTORY THAT A STATE HAS ACTIVELY SOUGHT TO EXPEND RESOURCES ON A PUBLIC HEALTHCARE SYSTEM.